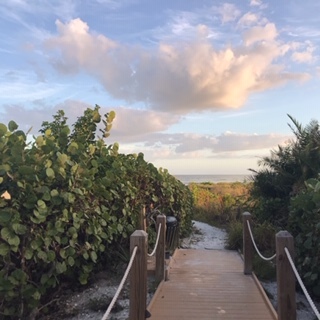 As we drove up and down the bridges of the quaint Causeway Islands to arrive at our destiny of Sanibel Island, the moist humid warm air hit my face. I saw boaters, bikers and fisherwomen on the small dots of land with tranquil palm trees swaying in the breeze. Even though this was our vacation, I was excited to be outside and enjoy fitness and sports in the warm sunny air. 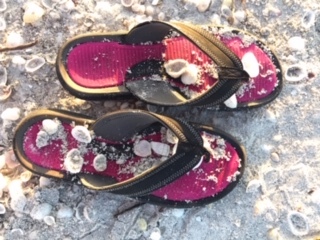 I was not there to only lie on colorful beach towels or sit under a sun-shielding umbrella but to get out and live it up participating in exercise and sports. The bike shop is always out first stop so I could rent a pink bicycle for the week to get up early and bike parts of the island if my husband and son are sleeping. I usually run every morning but switched up my routine biking on vacation since flat roads and palm tree canopy give me the perfect biking path. 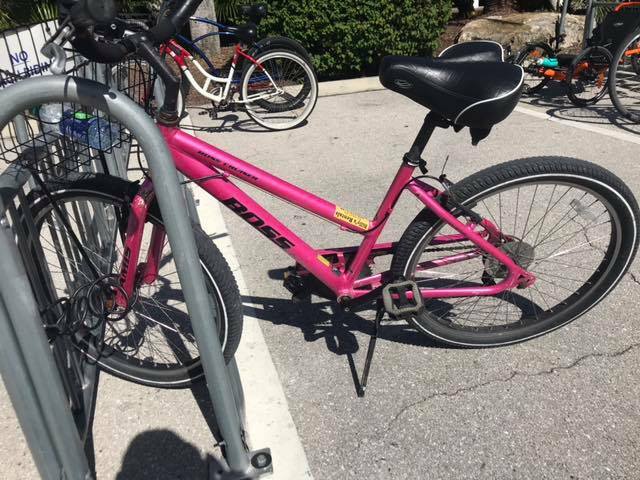 Even on vacation, I wanted a pink bike to remind me of the benefits of being a woman entrepreneur on vacation peddling in the sunshine. The bike came with a basket and bell to ring as I passed walkers. I delighted in racing my husband and son to the lighthouse on our “feminine bikes” proving girls could outlast boys on an island bike race. 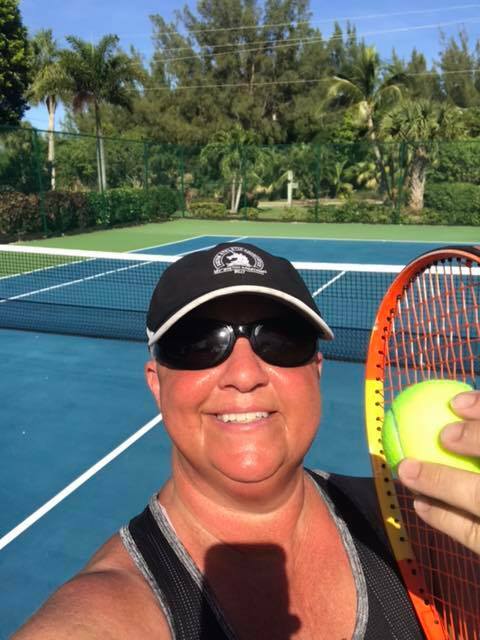 Our new condo unit came complete with two tennis courts and a pickle ball court – a much shorter and boxier platform to play a similar tennis style sport. We choose tennis one morning to the delight of an older couple who were playing a serious game. Our lofty lobs, with a need to have the ball bounce twice and not once, didn’t impress them any but we had fun. My running legs felt the difference playing a short run game sport the next day and my arms and shoulders actually had a workout compared to their typical robotic running style workout. I credit Quinn Gleason, an up and coming female tennis player I interviewed for my “Women in Sports” project, getting me out on the court that day. Since I was on the swim team in junior high and high school, the lapping ocean called to my swimming spirit. The salt water was a perfect 80 degrees and buoyed me in the swallow waves. My son and husband invited me to a Frisbee game in the water. I attempted to play but realized my soul just wanted to swim and dance in the waves instead. Sometimes the soul speaks and we must listen. 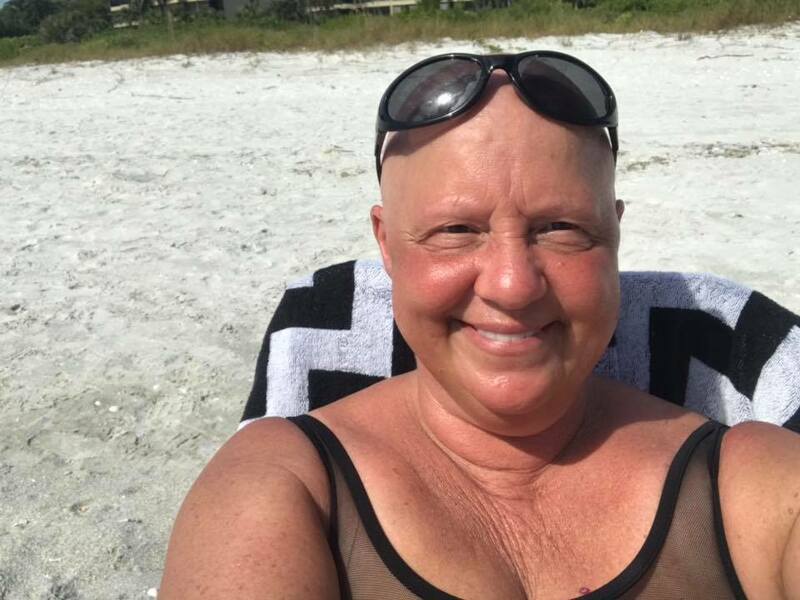 With my new bald head from alopecia bobbing up and down in the water as I swam, I’m sure a few beach spectators thought I was a buoy loose from its mooring. My 54th birthday came in the middle of the week and I wanted to do something really new and adventurous so I asked my guys if they would go Para-sailing with me. Little did I know both of them are afraid of heights ending my high-flying birthday dream so instead we chartered a fishing boat and fished for four hours. I told the captain I wanted to catch a 54 pound tarpon for my 54th birthday and all three of the men laughed at the thought. I said to them, “If I had female friends on the boat, they wouldn’t laugh at me. 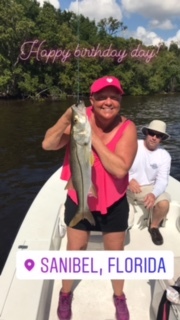 They would believe I could do it!” I never landed the big one but did hook three fish giving me another fun sporting day. 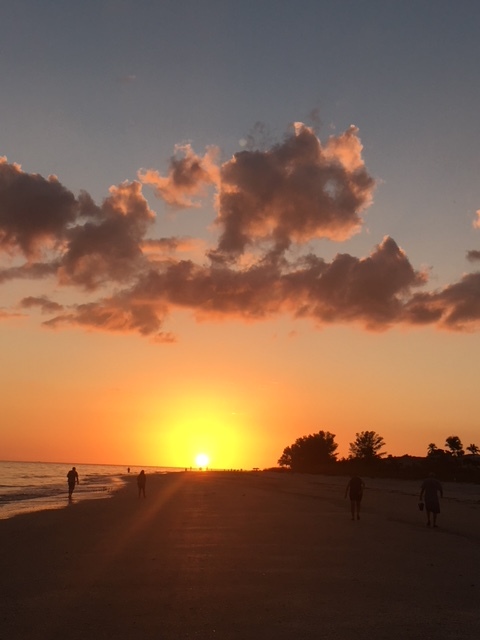 At the end of every blessed day, we walked down the beach a couple miles to view the sunset and give our legs one more workout before another day in paradise came to its end. There is nothing better than walking in the golden arms of the sun to a sky painted in soft hues of purple, orange and yellow in a Monet style. 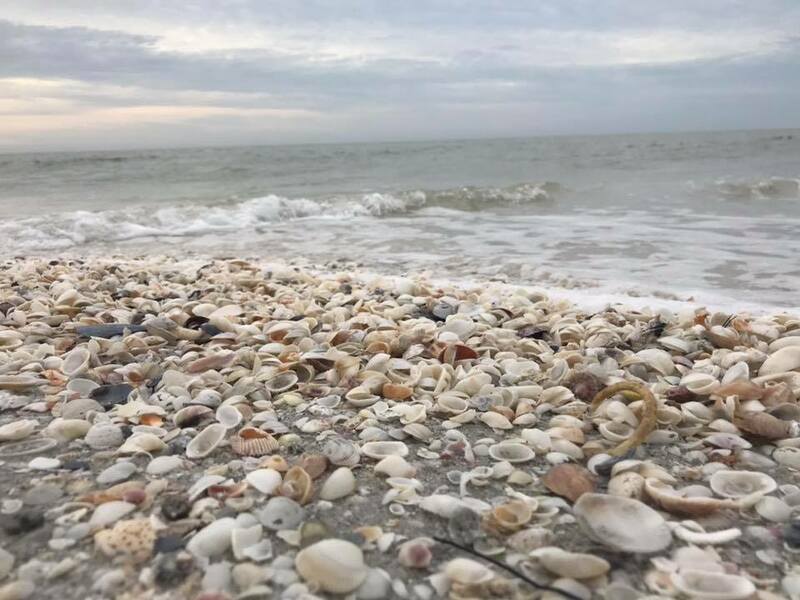 Our spirits and body enjoyed one last exercise walking in the sun kissed rays looking at the changing colors of the sky and picking up beautiful seashells to take home. Today’s account is really a Monday Motivation for all women to seek out and participate in familiar and new sports, fitness or exercise to brighten their lives. Living in Upstate New York means, we don’t have 365 days to enjoy the outdoors like they do in Florida, but don’t let cooler air, cloudier skies and brisk winds keep you locked up all fall and winter; get out there and enjoy the sports you love or try something new. If you go on vacation to get away from the cold, remember fitness and sports can be the best gift you give yourself on your vacation. I have to disagree with something…we most certainly do have 365 days a year to enjoy the outside here in Upstate NY!! Go for a walk, run (wear Yak Traks on your shoes so you don’t slip), bike (fat tire bikes are AWESOME in the snow!) ski either downhill or cross country, snow shoe, etc. Please please please get outside! The cool crisp air is wonderful! You certainly are right Debbie. I suppose not being able to comfortably go out and bike, run or play tennis like I did in Florida spurred my post. I do love the full winter season when I can cross country or downhill ski; but I prefer the warmer temps. Thanks for your insight. CNY is great.